For SAP Cloud Platform, open-source and open standards have always been guiding principles to ensure that our customers and partners benefit from the latest development in cloud technology in a non-disruptive manner. At the same time, we abstract complexity away from the app developer, so they can focus on their app functionality, not on the infrastructure needed to run the app. We believe that a cutting-edge and future-proof platform can only be achieved through co-innovation and close collaboration among the technology and industry leaders. This is why SAP joined the Cloud Foundry Foundation as a founding platinum member in 2014 and the Cloud Native Computing Foundation (CNCF) as a platinum member in 2017. Both Cloud Foundry, the de-facto standard Platform as a Service and Kubernetes, the popular container orchestration technology managed by CNCF are central components of SAP Cloud Platform. SAP is actively contributing to both technologies, with a focus on projects that address enterprise readiness such as security, scalability and interoperability (refer to this blog post for more details). In the meantime, SAP has become the second-largest contributor to the Cloud Foundry codebase with close to 100 engineers working on key components. 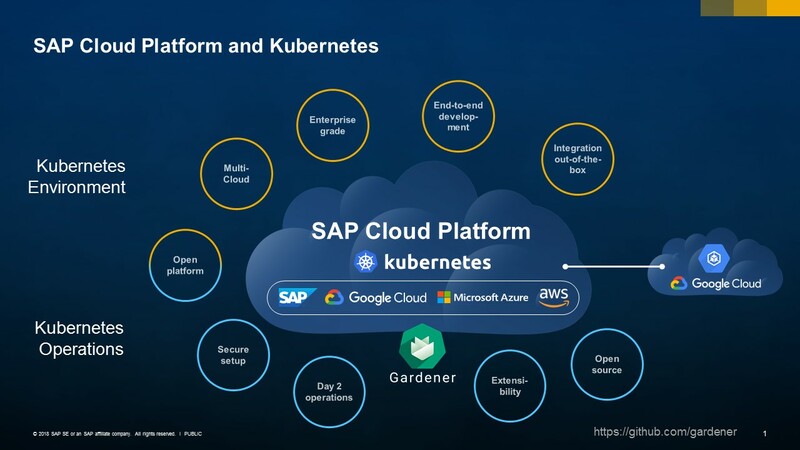 In the same vein, SAP just recently open-sourced Gardener, a technology to provide Kubernetes clusters as a Service (please read this blog post for more details). 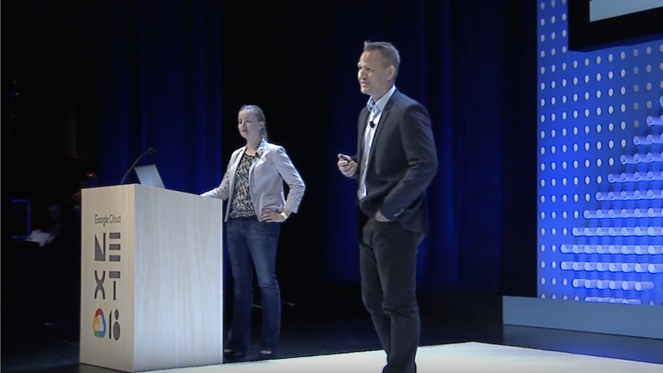 Given the strategic partnership between Google and SAP, there are numerous co-innovation projects such as jointly delivering an Android SDK for SAP Cloud Platform and running SAP Cloud Platform on Google Cloud Platform (GCP) to just name two prominent examples. 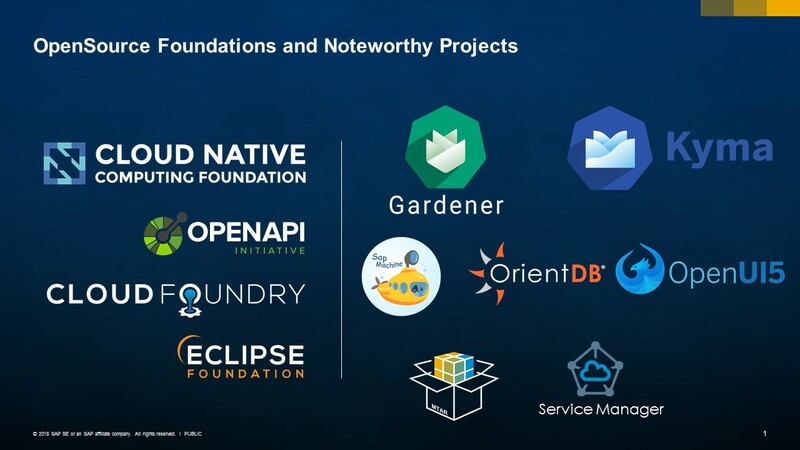 Being aware of SAP’s efforts in the area of integrating Cloud Foundry and Kubernetes, Google approached us in early 2018. They shared with us their plans about an open source project, now known as Knative, that was aiming at closing the divide between and reducing the complexity of Platform as a Service (PaaS) and Function as a Service (FaaS) on top of Kubernetes. For said reasons, we figured Knative would be a natural fit for a solution being developed in the context of our enterprise commerce offering SAP C/4HANA, a project called Kyma. Kyma addresses the need to provide a lightweight framework to build custom extensions to SAP’s commerce portfolio based on cloud-native technologies and eventing. In late April 2018, we decided to continue the development of Kyma as an open source project and hereby allowing the larger SAP Hybris implementation partners ecosystem to contribute. We are excited to announce and showcase the results of this collaboration between the Knative and Kyma teams at Google Cloud Next ’18. Overall, we see the development in the cloud native ecosystem as a validation of our strategy and vision of SAP Cloud Platform as an enterprise cloud platform based on cloud-native technologies and we are looking forward to jointly shape the future with our partners for the benefit of our customers. If you’d like to experience SAP Cloud Platform first hand please check out our free Developer Edition! From someone who works with other technologies, what I would like to see is what separates SAP’s offering from the competition. I know SAP is usually used to targetting SAP centric customers, but with things like this even SAP customers will usually look elsewhere before considering SAP as a PaaS open source platform. Is SAP just another vendor, or does it have best-of-breed features to offer? Adding the links to kyma-project.io and the launch blog of project Kyma, outlining in more details what it is about. Joao Sousa that might be something you wanna look at, which in the mid-term will differentiate SAP from its competition.